It could be one of the most unlucky or one of the most useful chassis of all time, to me it's one of the most desirable ever. #2053GT crashed hard during the 1964 500km of Spa, apparently for the last time. Judging by the only two pictures I could find Francis van Lysbeth was very lucky to get out of the car in one piece and to be racing again at the 1000km of the Nurburgring few weeks later. The team was Ecurie Francorchamps and it is legitimate to think all four cars (our 2053 GT and three GTO) were more than determined to obtain a good result. 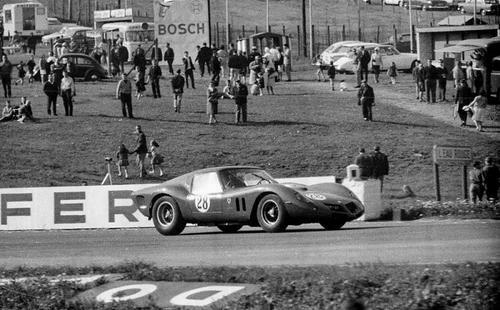 Only one will manage to finish the race, 250 GTO 4153GT in fifth position. This was the second race alone for van Lysbeth on the #2053GT but the car had been reasonably busy all its life. It was in fact its second race for 1964 (2nd place best result) after 7 total races in 1963 in which it obtained a 3rd, a 4th and a 5th placement. 1962 was indeed the beginning of a new life for #2053GT after a nasty accident at the 1000km of the Nurburgring almost got it written off. At the time of the accident in fact the car was wearing already its second (possibly third) "dress" and it was to be changed yet again. 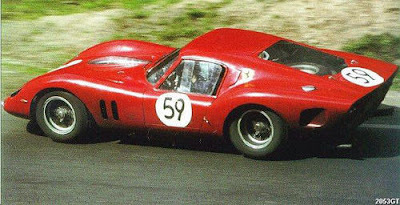 The car left the factory line in early 1960 as a 250SWB but it was retained by Ferrari as "muletto" or development car. 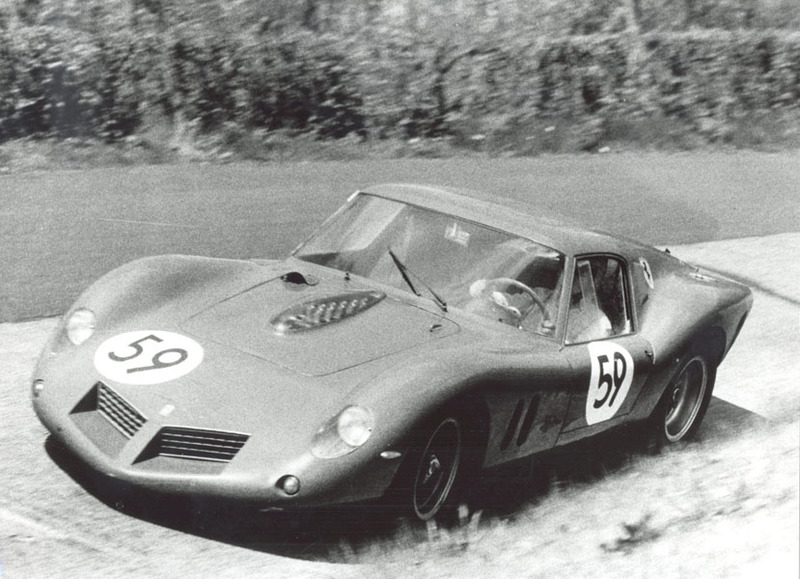 Some were led to think that this very chassis was Enzo Ferrari's and subsequently Giotto Bizzarrini's personal car but in reality such car would have been #0523 GT. According to other sources it might have also been the mysterious "Anastasia" GTO development mule. What most trustworthy Ferrari historians proved is that our car started as a Boano (hence the confusion with Bizzarrini's) and it was sold in early 1960 as SWB to Milan's Scuderia St. Ambroeus, to the name of Casimiro Toselli that raced it extensively and successfully the whole year before trading it back to the factory. As everybody knows 1961 is a pivotal year for Ferrari and the GTO development and not much is known about what happened during this time to #0523 GT. 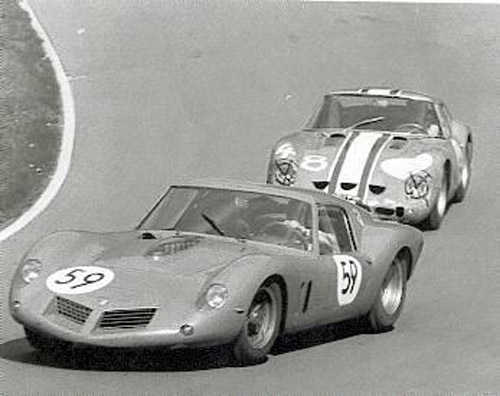 It's known that the car was by then silver with wide red longitudinal stripe and there's photographic evidence of it at the paddock of the 1961 Le Mans possibly taken there by works driver Willy Mairesse. By the end of the year Stirling Moss himself would test some experimental modifications at Monza (hence the theory about the car being "Anastasia" by then) until it was finally sold to Ecurie Francorchamps after being upgraded with 6 Weber 38 DCN carburetors. The car raced 5 times in 1962, most notably with Jacques Swaters taking it to victory twice, until the fateful 1000km of the Nurburgring in may saw the car damaged almost beyond repair. At the time it was common to use this kind of chances to give the remains to italian coachbuilders which then had the chance to give us some of the most amazing creatures we still admire today. I'm ever so thankful that this chance was given to Drogo. Born in Vignale Monferrato, 45 minutes drive south of Turin, in 1936, Piero Drogo was a former racing driver that worked as a mechanic at Stanguellini after his family returned to Italy after having emigrated in Venezuela during the war. 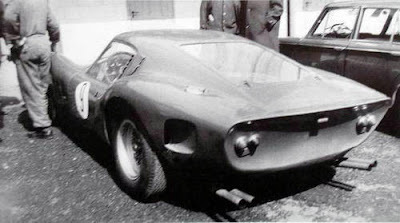 After having established his own Carrozzeria Sports Cars in Modena he started taking orders from private clients mostly arriving with Ferrari in need of a new body. This was a time very likely to be considered the true renaissance of motor car and is incredible to think that few blocks away there used to be coachbuilders such as Drogo, Neri & Bonacini and Scaglietti. Most of them creating these cars without ever making drawing of them. This sort of neighborhood also explains another common misconception, the creation of the notorious #2819 GT breadvan, created by "beaters" from Neri & Bonacini and not Drogo as usually stated. 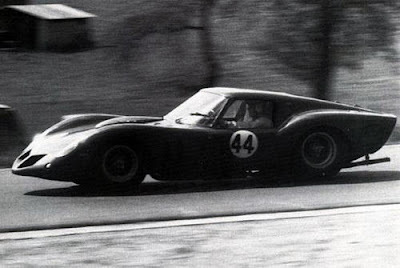 On #0523 GT Drogo created one of the loudest and in my opinion most beautiful designs ever to dress a 250SWB. The signature pointy nose, the elongated figure and the tight fit of the body on the chassis creates an outrageous wave that gracefully and violently wraps the rear section of the car and the rear arches. 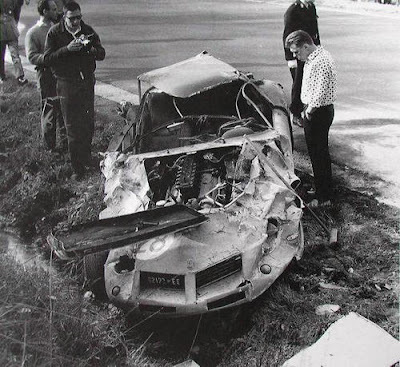 It sure is painful to see the pictures of the car violently smashes after rolling over and the canopy brutally removed to take van Lysbeth out of the car on that fateful 17th of May of 1964 at Spa. It is not certain where #0523GT is now. 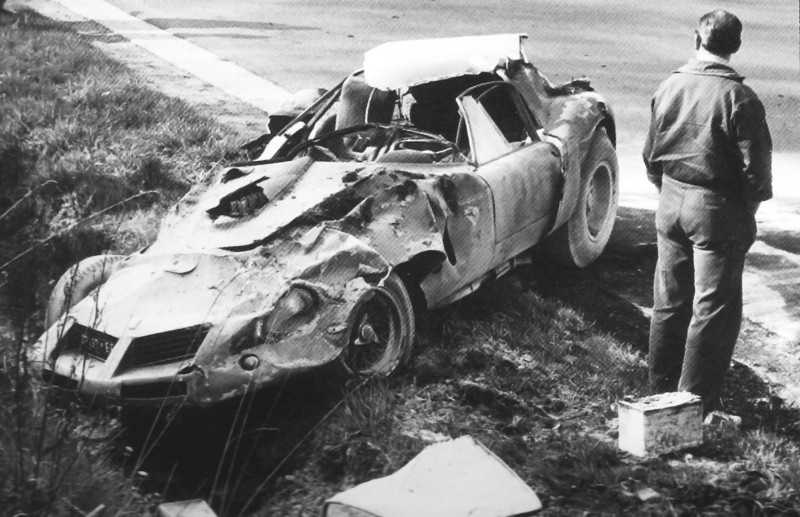 Some say that it was rebodied as SWB but many support the theory that the car was never to be rebuilt again and it may still be somewhere in the Ecurie Francorchamps belongings. Unfortunately the value of a SWB these days makes the second theory quite unlikely but I do hope one day someone will return the car to its unique lines. Many hours of research didn't give me any lead in finding the position of the car today, any suggestion or tip would be extremely appreciated. 2053gt exists and it is in Italy.